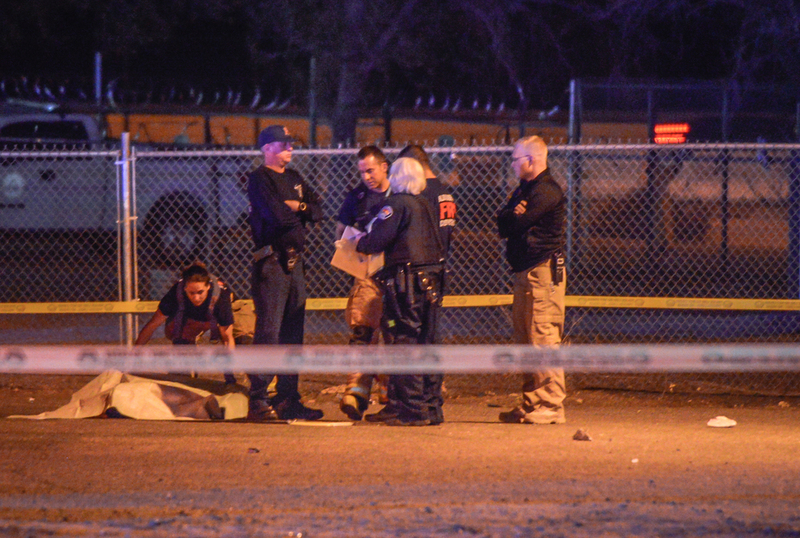 A fight between two groups celebrating birthday parties at Los Altos Skate Park in Northeast Albuquerque exploded into gunfire Sunday night, leaving 17-year-old Sandia High School student Jaquise Lewis dead in the parking lot and six others shot and injured. One person remains hospitalized in critical condition after what police say they suspect was a gang-related clash. 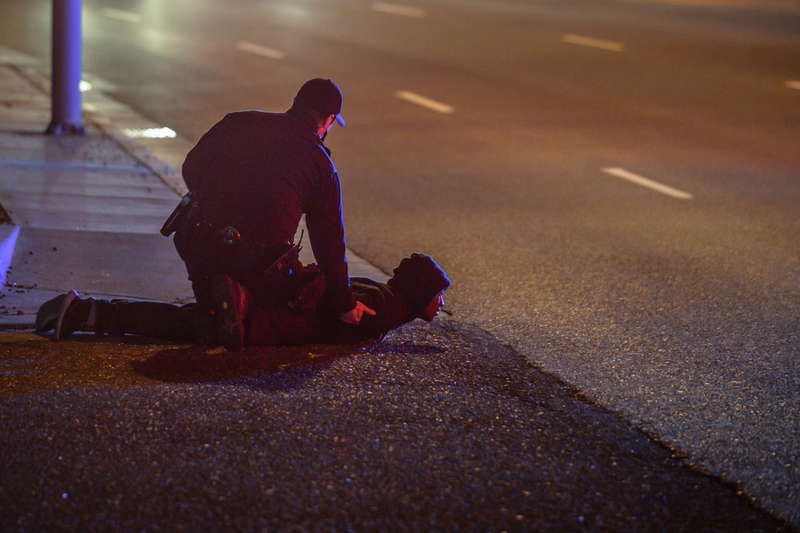 Richard Brandon, a longtime skater who was at one of the parties, said his friends confronted a man in the other group, claiming someone had stolen a skateboard. Not long after, he said, punches and shots started flying from both sides. Brandon said he saw his friend whose birthday it was get hit by a bullet and go down. 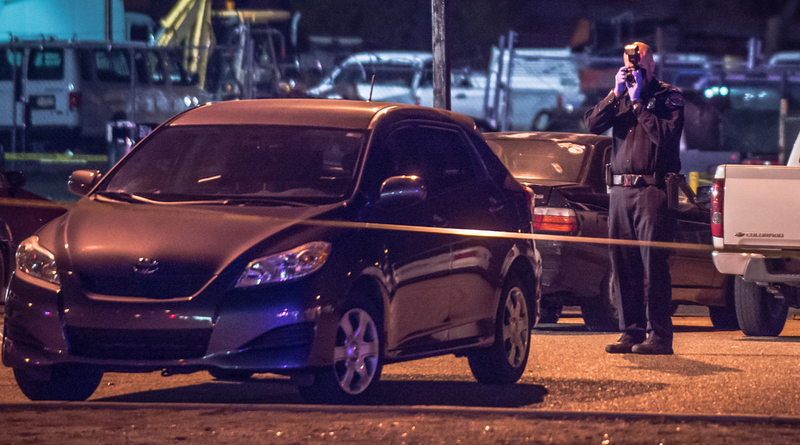 Seven people were struck by bullets, including Lewis, who died at the scene. Several cars in the parking lot also were struck by bullets. Lewis had recently returned to Albuquerque to live with his grandparents after living with his mother in Las Vegas, Nev. He had previously attended Highland and Manzano high schools. Green jumped in her car and drove to Albuquerque as soon as she heard the news. 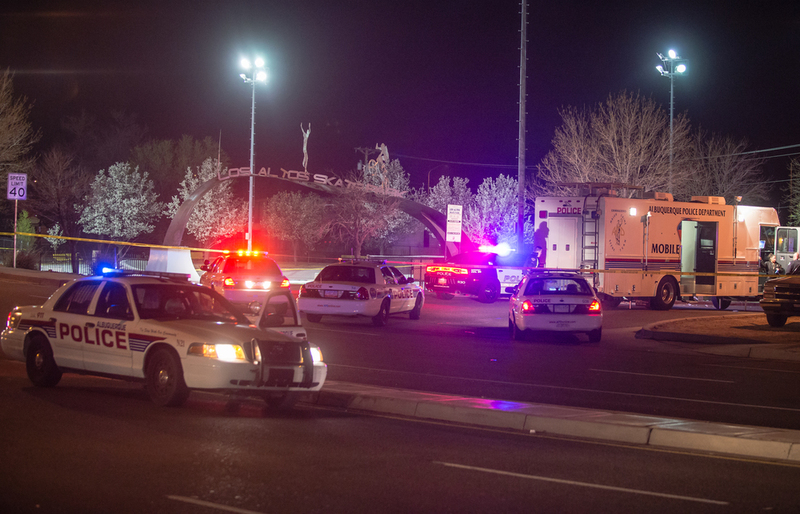 Officer Tanner Tixier, a spokesman for the Albuquerque Police Department, said officers were called to the skate park just before 10 p.m. Sunday. 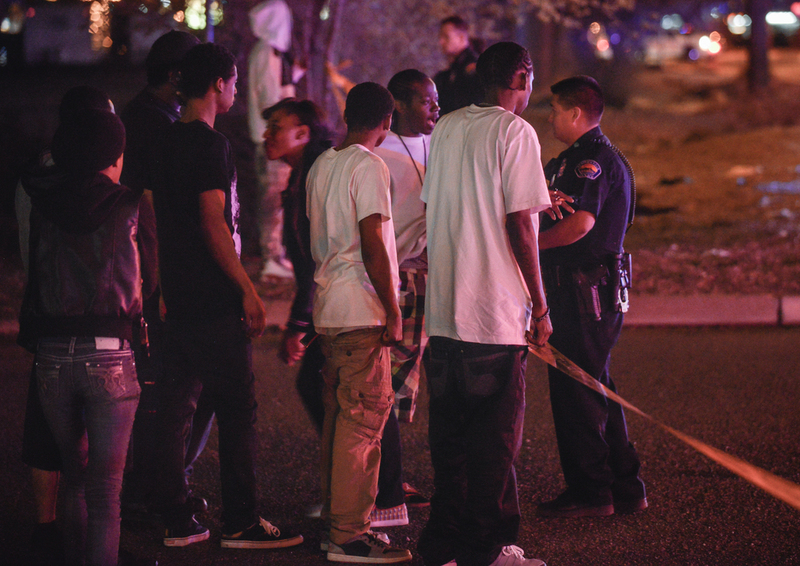 They arrived to find a large crowd, with Lewis dead on the sidewalk and others injured. Three people were rushed to a local hospital. Three others injured by the gunfire walked into area hospitals on their own, he said. 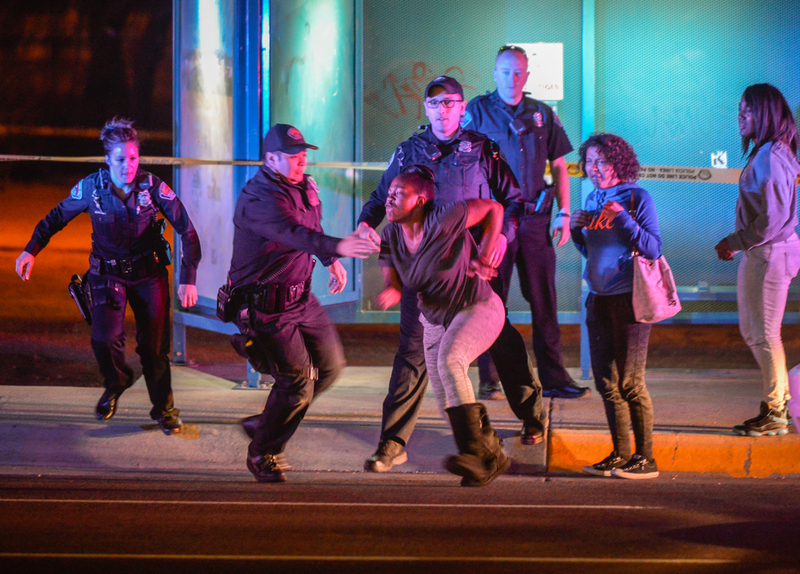 The shooting and its aftermath drew a large crowd, prompting officers to concentrate on crowd control, police spokesman Fred Duran said. He said the police don’t have any suspects to identify at this time and said police aren’t sure if race played a part in the shooting. Lewis is black and the group he was with was mostly African-American. 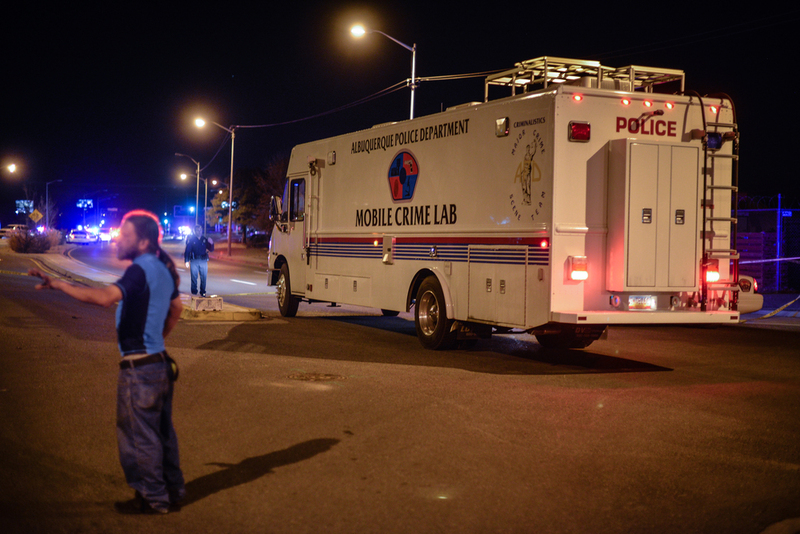 “The early indication is it was somehow gang-related. We’re still trying to make sure that was the case,” Tixier said. Cody Langdon, a longtime regular at the park, said the skateboarders he knows are not involved in gangs. “Nobody here is part of any gang. And if they are, they are not bringing that into the park,” he said. “I know there’s a highway camera at I-40 and Eubank, but it was pointed in the wrong direction,” he said. Langdon said the park is usually peaceful. Tixier agrees. “I just pulled the calls for service there for the past three years and it didn’t seem like an overwhelming number,” he said. When fights do break out, Langdon said they are solved without guns. Journal staff writers Nicole Perez and Jon Swedien contributed to this report. APD officers respond to a possible active shooter near the Air Force Base forcing a local elementary school to go on lockdown. ROSWELL – Now that Berrendo Middle School has reopened, and the satellite trucks from CNN and NBC have put Roswell in their rearview mirrors, church and community leaders here are focusing on what they see as a silver lining – the outpouring of support and faith that they say is unique to this town of 48,000 residents. To donate to those most affected by the Roswell school shooting, visit the United Way of Chaves County website at UnitedWayCCNM.org and click on the “Roswell Prayers” picture. Donors must also select “Berrendo Middle School Support Fund” from the “Select Agency” drop down menu. Since the December 2012 school shooting in Newtown, Conn., more than two dozen schools across America have seen classrooms converted into crime scenes, and communities have tried to figure out what could possibly drive a student or former student to bring a gun to school and fire upon fellow classmates. It’s a list that residents of this southeastern New Mexico town never thought they would be on. But on a cold, windy morning last week, Roswell became town No. 30 – the fourth middle school in the nation to see such a shooting and the second school in the first two weeks of 2014. Around 7:30 a.m. on Tuesday, 12-year-old Mason Campbell carried a 20-gauge shotgun loaded with three rounds into the gymnasium at Berrendo Middle School, according to State Police, where around 500 students had gathered to take shelter from the cold. Two of Campbell’s shots struck the floor and the ceiling, but a third was fired into a stand full of students, injuring 12-year-old Nathaniel Tavarez and 13-year-old Kendal Sanders. Tavarez was in critical condition at a Lubbock hospital as of Friday night and Sanders was in satisfactory condition. Campbell is facing three charges of aggravated battery with a deadly weapon. Hale said members of his church and others have organized to provide meals and other “practicalities” to the families of the shooting victims, in addition to Campbell’s family. Hale said that, even though Campbell is the suspected shooter, the town views each family as deserving of prayer and support. 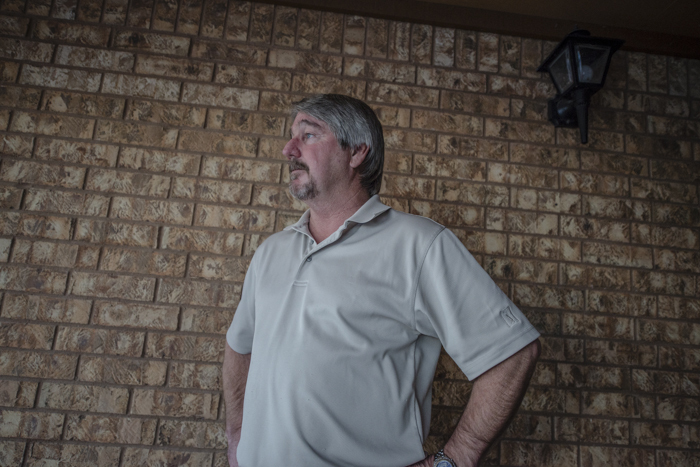 Jim Campbell, Mason’s father, is a private contractor who built his home and his neighbor’s home. On Tuesday morning, two State Police officers armed with assault rifles stood in front of the large house’s driveway. Mason Campbell faces three charges of aggravated battery with a deadly weapon. Mason’s mother, Jennifer, is the sister of prominent Albuquerque attorney Jason Bowles and one of the boy’s grandparents is a well-known Roswell dentist. The tightknit nature of the community also became evident Friday afternoon when District Attorney Jeanetta Hicks decided to pass the shooting case to another jurisdiction, citing numerous conflicts of interest. City leaders say Roswell’s size and its large churchgoing population have instilled a sense of community that was evident among the 1,500 residents who packed into the civic center the night of the shooting to pray with the town’s eight senior pastors from different denominations. It was also evident Thursday morning, when dozens of well-wishers gathered near the school to cheer on kids and their parents on the first day back after the tragedy – a sight that Sean Lee, acting director of the Berrendo parent-teacher organization, said made him swell with pride when dropping his daughter off. Attendance was optional Thursday and many parents said they wanted to wait at least a couple of days longer before letting their kids return to school. However, some students said they’d might as well get it over with. Lee said he believes the town will be OK eventually, but it has to answer some questions in the meantime. Parents at the Wednesday night meeting briefly discussed anti-bullying initiatives and requiring backpack checks for students entering the school, but he said it’s too soon to tell what might come out of the shooting, especially because State Police have not yet determined Campbell’s possible motives. In the coming days, a group of students from Arapahoe High School in Colorado, shooting No. 28, is possibly going to make its way to Roswell to offer comfort to the 600 or so students at Berrendo. It’s a role Lee said he hopes Berrendo students will take up should school shooting No. 31 happen.